From factories, to warehouses, construction sites and supermarkets, the use of forklifts across our state is rampant. With the ability to move heavy weight and large loads of material, forklifts are vital tools in the everyday workplace of many Americans. Utilizing heavy powerful equipment, like forklifts, at work is risky business. Forklift accidents may lead to serious consequences such as concussions, broken bones, or even spinal cord injuries. If you are injured in a forklift accident, please call an experienced forklift accident attorney at Massey & Duffy, PLLC. The forklift, the operator and the workplace environment all play a part in accidents and injuries. Many employers and employees are not aware of the safety procedures or the proper use of forklifts, increasing the likelihood of injury or death. Poorly trained operators may not be aware that they should avoid turning on grades, ramps or inclines. 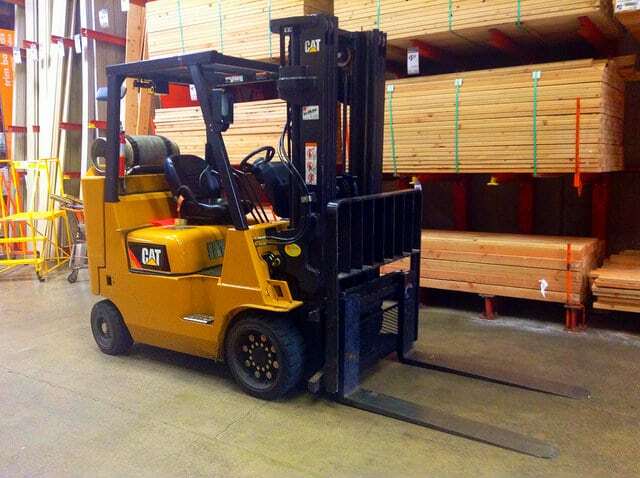 Untrained operators may not know to stay with the forklift if a tip over occurs. OSHA requires forklift operators to be 18 years of age or older and to be properly trained. OSHA has specific training requirements that the forklift operator must satisfy. The specific training requirements vary depending on whether the forklift operator is loading and unloading product, is working with hazardous materials, or is performing maintenance on the forklift. To safely operate a forklift, please visit the United States Department of Labor Occupational Safety & Health Administration site for additional tips and statistics. If you are injured in a forklift accident, contact the attorneys at Massey & Duffy, PLLC for your free consultation today. The Florida forklift accident attorneys at Massey & Duffy, PLLC represent victims and their families who have been injured in an accident. Throughout Gainesville and North Florida our legal experts work to help people put their lives back together and recover financial compensation. We take the time to fully understand all aspects and locate all factors which contributed to the accident in order to determine which parties should be held liable. Rest assured that our residential complex lawyers will listen carefully and review the unique circumstances of your case and the future consequences of all injuries before filing a claim for damages.